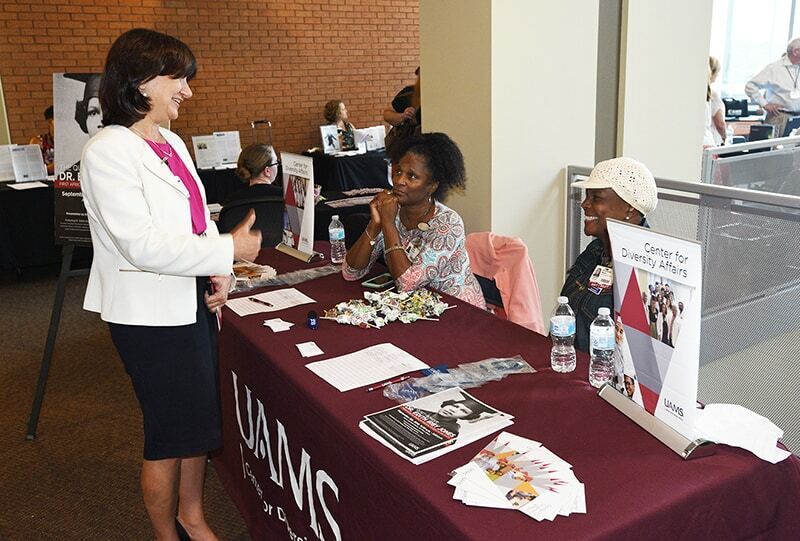 Faculty members were able to browse more than 30 booths showcasing various services available at UAMS. Aug. 22, 2018 | Faculty members from across UAMS gathered Aug. 16 in the I. Dodd Wilson Education Building for the Faculty Resource Fair. Stephanie Gardner, Pharm.D., Ed. D., senior vice chancellor of Academic Affairs and provost, visits the Center for Diversity Affairs booth at the Faculty Resource Fair. More than 30 groups set up booths at the fair to advertise their services to the crowd. 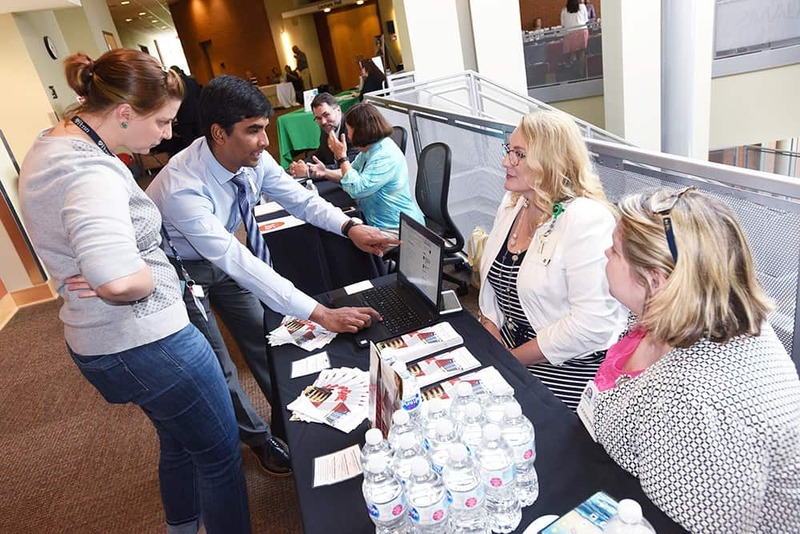 They included the Center for Diversity Affairs, the Library, Fitness Center, Human Resources, Faculty Center, Continuing Education, the Center for Distance Health and several research groups. Even veteran faculty members found the event to be helpful.